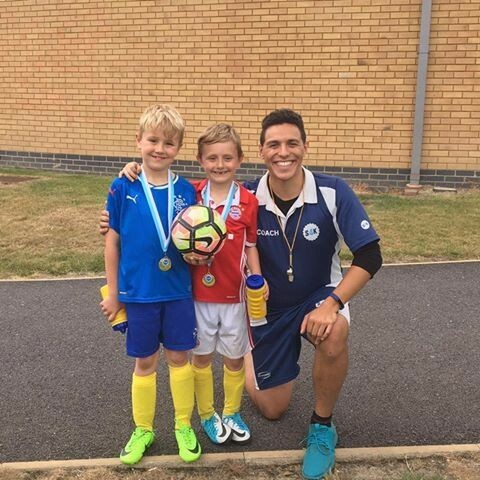 Never Say Goodbye… - Sport4Kids Football Coaching, Child Development & Girls Football Blog! 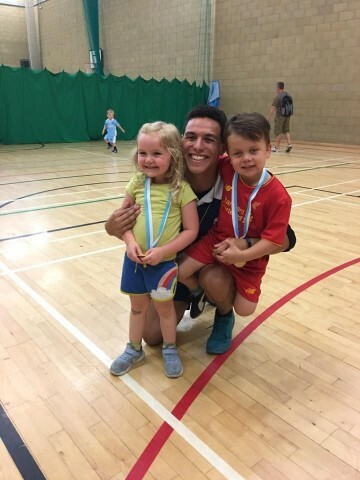 We are sad to say goodbye today to 4 long-standing members at our Royal Holloway kids football classes in Egham. The Rice family, who have been with us since 2014, are heading back overseas to the USA to start a new chapter in their lives.We wish Jackson, Liam & Audrey (who have been with us for over 3 years), all the very best in the US, and hope they continue to grow and develop into lovely young people. Coach Dray, Development Centre Lead Coach said "It's been a pleasure watching the Rices develop their skills, but it's also been a privilege to know such unique, funny, clever people that I will miss dearly!". The Rice family mum, Sonja, said "I stayed relatively dry-eyed yesterday, but now you've gone and done it! sniff sniff. Jackson, Liam, Audrey, Mark and I will miss S4K and the terrific coaches, like you, Dray. Thanks for teaching our littles so many skills and for making them love football even more!" Dray and his team are also sad to be losing Otis from the S4K Kickers age group, who they have had the pleasure of teaching since he was a toddler.Dray said "He is the only child who I will forever remember as having a nap in the middle of one of my classes.I do hope that wasn't a reflection of my coaching!". We wish our families all the best and hope to see them soon!